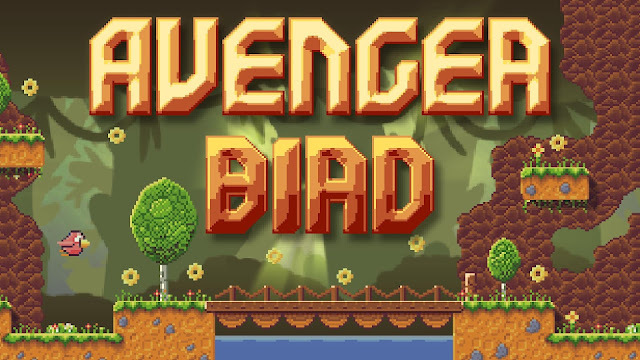 Avenger Bird will be issued for Nintendo Switch – a platformer referring to games from over 20 years ago. As the creators indicate, Avenger Bird is a retro style game that offers unusual control and completing it may be quite a challenge. The premiere for the Nintendo console is scheduled for February 5 this year. Earlier the game appeared on the Steam platform. Created by TiliaSoft, Avenger Bird debuted on the Steam platform (PC, Mac and Linux) in January 2017. This platformer produced by an independent Polish studio for Nintendo Switch will be published by Ultimate Games S.A.
“This game is a kind of tribute to shareware computer games on the market in the 1990s and is the spiritual successor to the classic games that were then available on the PC and Amiga. Players remembering times easily notice numerous references. Avenger Bird is however not only a retro style platformer, but obviously, the production also has its own unique character and features”says developer Patryk Zieliński. “Each level has its difficulty indicated so that the player knows the amount of challenge he can count on. The beginnings are not too difficult but the challenge is increased in subsequent stages. Often the key is to find the right method and not just our agility. Completing the game 100 percent, including the collection of hidden boxes with diamonds, is quite a demanding attempt. Starting each level we have to take into consideration – as in the old times – a limited number of lives” added Patryk Zieliński. The game's premiere on Nintendo Switch is scheduled for February 5, 2019.